Usually, social networks determine how users use their products. But today Pinterest has unveiled updates that make its platform more accommodating to a function that its users have been wanting for some time. As a response to pinners’ increased use of Pinterest as a visual bookmarking platform for articles, Pinterest’s latest update will make it easier to pin the news. 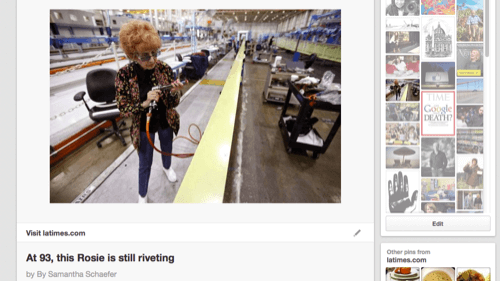 According to Pinterest, the site will be rolling out a new look for articles in particular, including the headline, author, story description and link to the source on the pin. A pinned news article that demonstrates the updated information. “The updates are aimed at making Pinterest a better place for people to save and organize articles about the topics they care about—such as science, travel, technology, parenting, and health,” a spokesperson said. Pinners who want to take advantage of the new look don’t have to do anything. 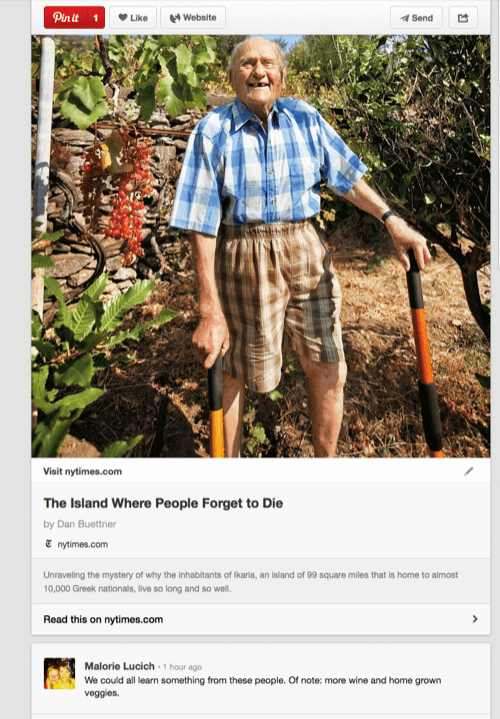 Pinned articles will automatically update with the new look and information. Nobody doubted Pinterest’s ease of use as a platform for sharing fashion- or design-related images and ideas. But its use as a visual bookmarking platform has previously been embraced more by users than the company itself. While other platforms like bit.ly and Delicious have been specifically designed with article bookmarking in mind, Pinterest originated as a space for images first. But today there is no shortage of Pinterest boards with titles like “Articles to Read” and “Pin Now, Read Later”—for users, bookmarking long reads with a visual cue just makes sense. According to a Pinterest spokesperson, news sites including Buzzfeed have named the Pin-It bookmarklet as a top referrer of traffic. The update is an acknowledgement of this user-pioneered use case. It’s a direction portended by Rich Pins, an update earlier this year that added more textual information to certain types of pinned information. Pinterest may be synonymous with images, but text still rules the Web. Pinterest’s latest updates give users the best of both worlds.